The season 2018 was historical for Jenny Egan and Irish Canoe Sprint. 31-year-old paddler from Leixlip in Kildare won bronze medal in the 5000 metres event of the 2018 World Championships in Portugal. 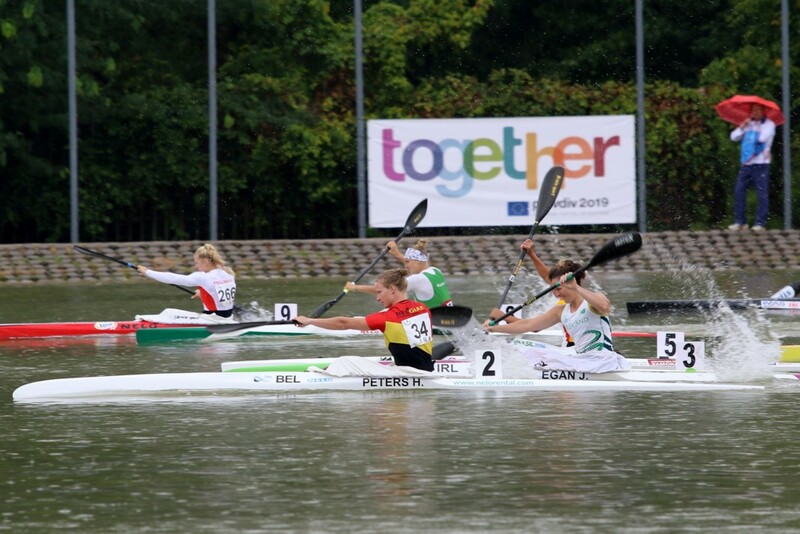 This was the first ever medal for Irish Canoeing at Sprint World Championships. This year Egan focuses on European Games and World Championships where she will fight for the Olympic quota. Jenny Egan has been in canoeing for many years now. He has started paddling at the age of eight, but jokes she was in canoe even before her birth. In an interview with buzz.ie she explained her mother Angie trained on the water while pregnant with her. Her father managed the Ireland team and her brother Peter is also a paddler who competed internationally. Being in canoeing over 20 years she won her biggest success to this date last year at World Championships. “Very few people in the world have World Championship medals. To be in that minority of people is very special,” she said in an interview. In the winter preparation period she plans a training camp in Florida to prepare for the very important races ahead. The first goal is European Games in Minsk this June, a competition she already has experience from. “I was fourth at the inaugural European Games. I just missed out a medal by the narrowest of margins in a sprint finish. I lost out by 0.04 seconds, I think it was. You can't even click your fingers that fast,” she said for buzz.ie. The second peak of the season is World Championships in Hungary where first quotas for the 2020 Olympic Games in Tokyo will be awarded. She missed out Olympic Games in London and Rio de Janeiro. “The top five at the World Championships this year will go to the Olympics. Then, next year, there's another chance to qualify with the European continental qualifiers. Europe is the hardest place to qualify from, because it has the strongest nations and the most nations. I wish it was like swimming or athletics where you have to get a certain time and have different opportunities to do that. It's not just two opportunities, with five at the World Champs and two at the European qualifiers. People don't realise how hard it is - I think it's one of the hardest sports to qualify in for the Olympics. I just have to give it my best shot and, hopefully, I'll make it,” she concluded.